Tenac Championship Coaching delivers comprehensive coaching solutions that enable endurance athletes to achieve their goals. We inspire achievement of goals for our athlete’s through an encompassing approach founded on the following tenets: communication, cultivation of self awareness, optimal training environments, support systems, and creation of olympic mindset. 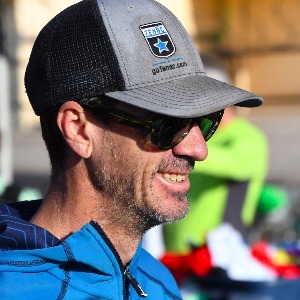 Jason Tullous is a Nationally certified USA Cycling professional coach who has coached 11 National Elite Champions, 2 Age Group National Champions and multiple Elite and age group State and Regional champions through 18+ years of professional coaching. Jason knows the what methods are proven to prepare athletes for everything from championship level pursuits to fulfilling lifetime goals such as finishing events like Leadville MTB 100, La Ruta Conquistadores, Paris Roubaix, L’Etape du Tour, Haute Route, El Tour de Tucson, Ironman, Tour of California, Triple Bypass, Master’s world championships and countless others. His coaching foundation consists of over 35 years of Professional Elite-level competitive cycling including a Master’s World Championship.He has also worked with Teams from the junior level (El Grupo Youth cycling) to the Hincapie Development team and Team Novo Nordisk. Success. Coach Jason Tullous has been notified of your message.